MoJo Promotions produce a wonderful variety of personalised bag for life products, all intended to be custom printed with your company name. Bag For Life Products provide a exceptional way to display your brand. The goodwill created by personalised bag for life products is bound to ensure your promotional goals are met. 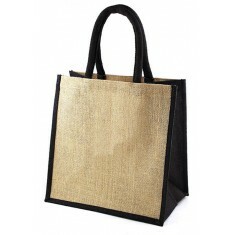 Our range includes - Mamba CT Jute Bags to mention but a few. All of our products can be custom printed to suit your aspirations, please contact us for more information. Natural jute material. Dyed gussets & matching short cotton handles. 6 colour choices.